Is there anyone in your life right now with whom you’re experiencing conflict? A neighbor? A brother? A co-worker? A fellow believer? A wife? Peacemaker Ministries was founded 29 years ago to help Christians deal with the conflicts in their lives. In fact, Peacemakers is one of the few organizations around that is dedicated to helping believers deal with conflict. 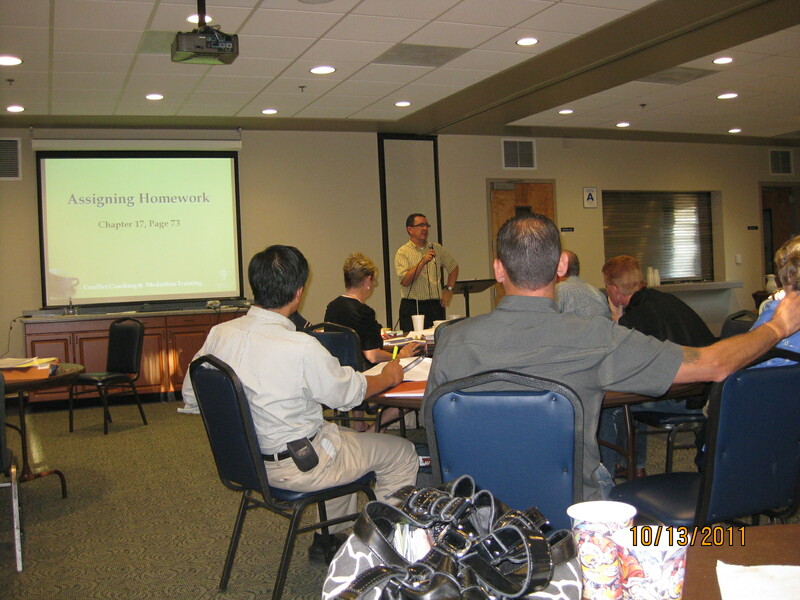 Last Thursday, I attended Peacemakers’ all-day Conflict Coaching event in Escondido, California. 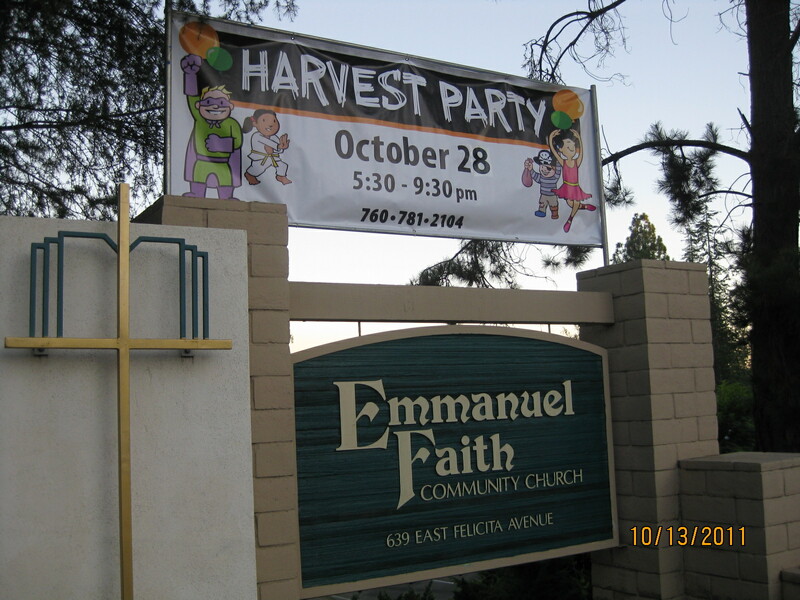 The course was held at Emmanuel Faith Community Church. My wife attended the church as a little girl. I spent a lot of time in preparation for the seminar, reading Ken Sande’s book The Peacemaker and engaging in four hours of prework beforehand. We had two instructors, one an attorney (whose niece was on the TV show The Bachelor) while the other is a staff member from Peacemakers. Much of the seminar was devoted to roleplaying. 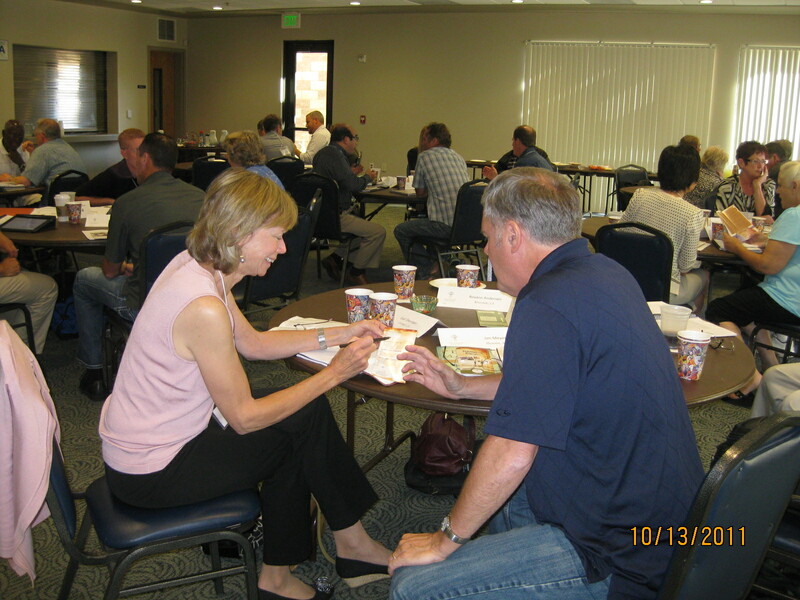 We participants were given a scenario involving a dispute between two individuals. We watched our instructors engage in role play, and then we were assigned a partner and practiced using biblical principles for peacemaking at our tables. When each role play was over, we critiqued ourselves and then received a critique from our partner. Personal involvement made the time fly by. First, almost all conflict begins with interpersonal tension. Family squabbles usually start with a rift between two people. Church conflicts easily proceed from personal to official gripes. Resolve a dispute with a temporary opponent and the conflict vanishes. Fail to resolve the dispute and the conflict grows – and your opponent can become permanent. Second, Christians need to take the initiative in resolving disputes. Most of us shy away from conflict. When I’m channel-surfing, if I come across two politicians arguing, I almost always change the channel. Part of the reason that I’ve pursued conflict studies is because I’m tempted to avoid conflict at all costs. But as I learned at the Peacemakers’ class, avoiding conflict is an escape mechanism that usually makes conflict worse. I plan to buy a bunch of these pamphlets and use them in my ministry. Third, peacemaking starts with a pure heart. While I appreciate the techniques that are advocated by Peacemakers, they don’t work unless a person’s spirit is right before God. As Colossians 3:15 puts it, “Let the peace of Christ rule in your hearts, since as members of one body you were called to peace.” However, once a person has practiced these techniques, he or she gains a greater level of confidence in addressing conflict situations. Finally, every church should put together a Peacemaking Team. If God ever called me back into pastoral ministry, I would make it a priority to identify a group of at least 3 individuals who could attend Peacemakers’ training and form a Peacemaking Team inside the church. When I was a pastor, and two people were engaged in a dispute, I encouraged them to work matters out together. I tried to coach them but tended to abdicate responsibility after that. But there were times when I could have done more coaching than I did. In addition, a Peacemaking Team can advise the pastor/staff/board to use biblical principles of peacemaking whenever a major conflict is brewing in a congregation. Now that I’ve attended this seminar, I know better how to coach others toward conflict resolution in a biblical manner. Since The Peacemaker book deals mostly with interpersonal conflict, I didn’t use it for my doctrinal studies, which involved antagonism in churches. In fact, Sande’s book fails to mention much at all about major church conflict, especially conflict that involves the pastor – my primary area of interest. But that’s not where most people live. Instead, people want to know how to settle disputes with a spouse, a supervisor, or a sibling. For those kinds of issues, I strongly recommend the resources and training provided by Peacemaker Ministries. Good for you! I think the pamphlets would be good to have around in business, church, schools etc. It is such a needed piece of information. Great resources.